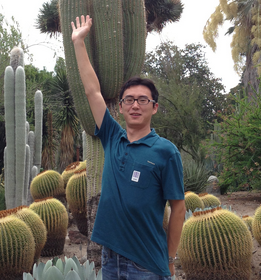 Following our efforts promoting open science and “community genomics” projects such as the “Peoples Parrot” and Azolla “crowdfernded” genome, today we have a guest posting from Peng Jiang and Hui Guo at the University of Georgia covering their crowdfunding efforts to sequence the first Cactus genome. While they have already raised 30% of their $2,300 target, with 25 days remaining until their deadline they still need help to reach their goal, and anyone interested in aiding this important work can contribute via the Experiment.com crowdfunding platform. 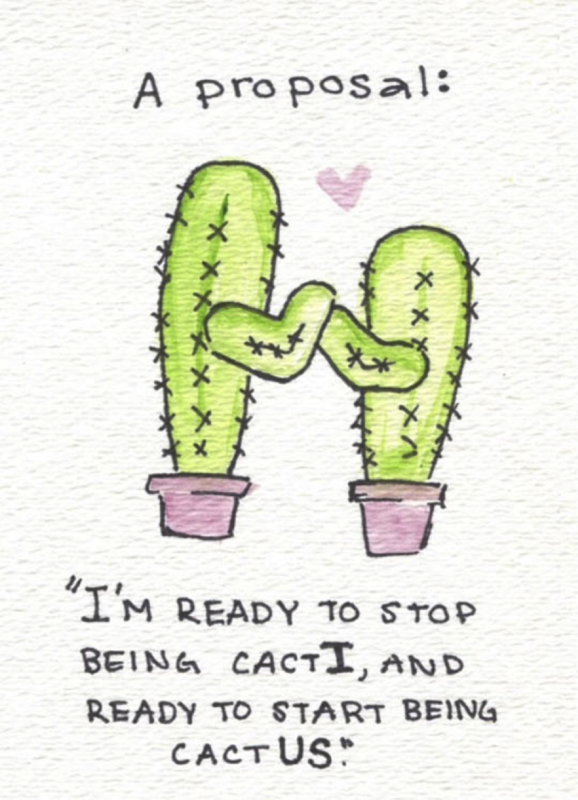 A Prickly Proposal: Why Sequence the Cactus? In these times of growing food insecurity due to climate change and population pressures, the prickly pear cactus has growing commercial and agricultural importance across much of the world, from Mexico and Brazil, Chile, large parts of India and South Africa, as well as Spain and Morocco. The goal of our proposal is to sequence the genome and transcriptome of the prickly pear cactus (Opuntia ficus), a recognized food and forage crop in these challenging semiarid regions of the world. With more than 130 genera and 1,500 species of Cactaceae, we will create a draft genomic and transcriptome database that would aid the understanding of this understudied plant family, and provide the research community with valuable resources for molecular breeding and genetic manipulation purposes. Here we will outline some of the reasons we think a first cactus genome would be so important. The beauty of the drought-tolerance cactus is that it can grow on desert-like wastelands. Nowadays, more than 35% of the earth’s surface is arid or semiarid, making it inadequate for most agricultural uses. Without efforts to curb global warming, in 30-40 years “Thermageddon” may hit the U.S. making it desertify like the Sahara. Opuntia helps create a vegetative cover which improves soil regeneration and rainfall infiltration into the soil. This cactus genome research may help adapt our food crops to a much hotter climate. The fruits of prickly pear cactus are edible and sold under the name “tuna” in stores. Prickly pear nectar is made with the juice and pulp of the fruits. The pads of prickly pears (“Nopalito”) are also eaten as a vegetable. Both fruits and pads of the prickly pears can help keep blood sugar stable because of containing rich soluble fibers. The fruit contains vitamin C and was used as an early cure for scurvy. Furthermore, much there has been much medical interest in the prickly pear plant. Studies have shown that the pectin contained in the prickly pear pulp lowers levels of cholesterol. Another study found that the fibrous pectin in the fruit may lower a diabetics’ need for insulin. The plant also contains the antioxidant flavonoids quercetin, (+)-dihydroquercetin (taxifolin), quercetin 3-methyl ether (isorhamnetin) and kaempferol. The planting of low water use, Crassulacean acid metabolism or CAM (a water saving mode of photosynthesis) biofuel feedstocks on arid and semiarid lands could offer immediate and sustained biogas advantages. Opuntia pads have 8 to 12 percent dry matter which is ideal for anaerobic digestion. With an arid climate, this prevents the need for extra irrigation or water to facilitate the anaerobic digestion process. Requiring only 300 millimeters of precipitation per year, Opuntia can produce large amount of dry matter feedstock and still retain enough moisture to facilitate biogas production. It’s possible to get as much as 2.5kwh of methane from 1kg of dry Opuntia. Trained botanists and amateurs alike have regarded the cacti with awe for centuries. The copious production of spines, lack of leaves, bizarre architecture and impressive ability to persist in the harshest environments on Earth are all traits that have entitled this lineage to be named a true wonder of the plant world. The cacti are one of the most celebrated radiations of succulent plants. There has been much speculation about their age, but progress in dating cactus origins has been hindered by the lack of fossil data for cacti or their close relatives. Through whole genome sequencing, we help will reveal genome evolution of Opuntia by comparing this genome with that of other sequenced plant species. Cacti are typical CAM plants. We will analyse the evolution of CAM genes in the Cactus to help reveal the secret of drought tolerance. Furthermore, plant architecture genes and MADS-box gene family members will be analysed to reveal the specific architecture and structure of cactus. We hope we have persuaded you that cactus comprises a fascinating aspects worth exploring, not just for its biology, but also its relevance to humanity and the global environment. We plan to generate a draft genome for Opuntia, which will make it the first genome sequenced in Cactaceae. We have initiated this crowdfunding campaign to kickstart this Cactus Genome Project. It is an experiment, but our citizen science approach is allowing us to reach out and directly engage with the general public. We will be releasing the results of the cactus genome project through GeneGarden (www.genegarden.com), which is an ornamental plant genome database. Please check us out when you are navigating through this social network! If you have any further questions, please contact project leader Dr. Peng Jiang at pjiang@uga.edu. For more on the importance of plant genomes see the following video from Science. UPDATE 28/4/15: Congratulations to Peng Jiang and Hui Guo for meeting their funding target yesterday! A total of 58 funders had pledged $2,301 by the deadline, and with BGI now offering them cheaper HiSeq 4000 sequencing, it looks like they should be able to produce more (deeper coverage) data than initially proposed. We look forward to following the project and seeing the results!